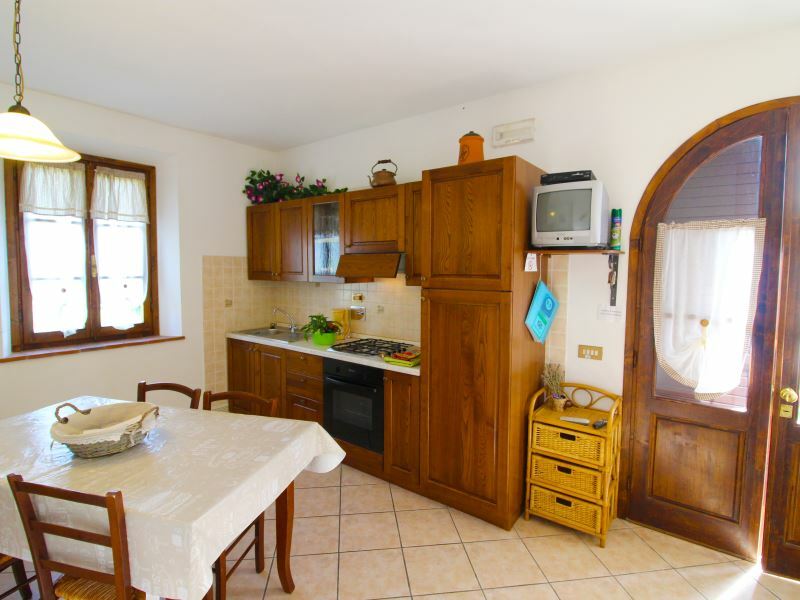 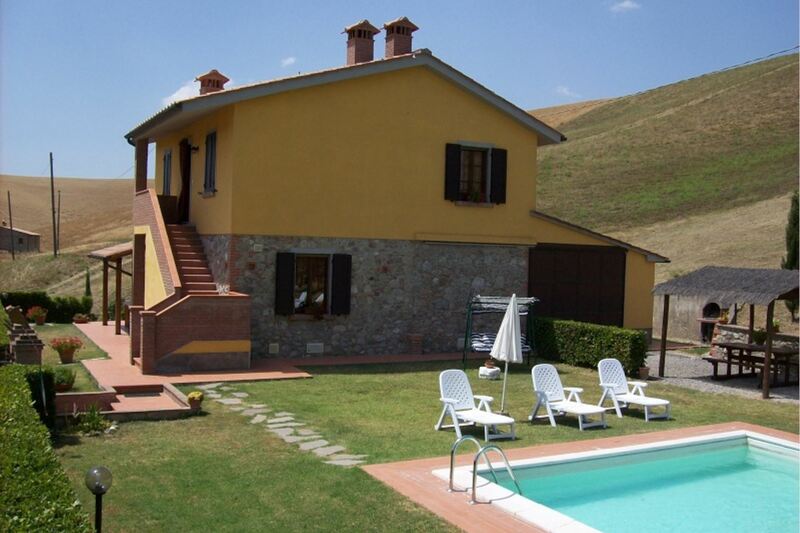 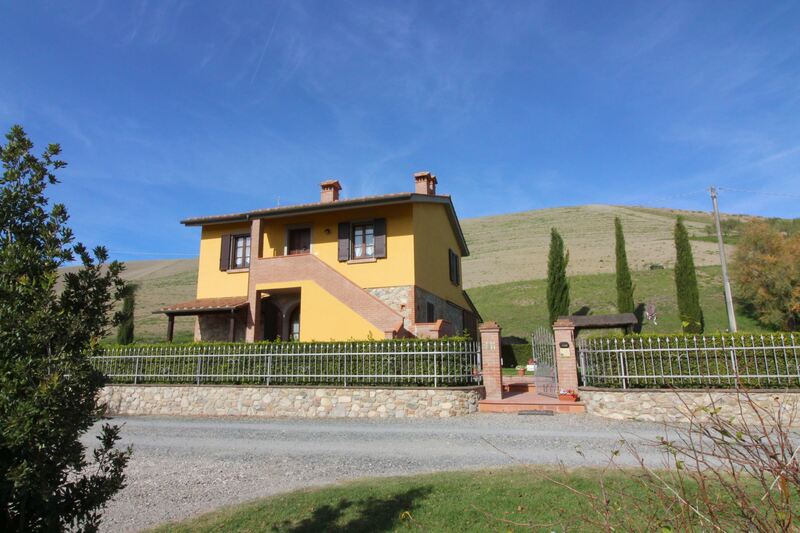 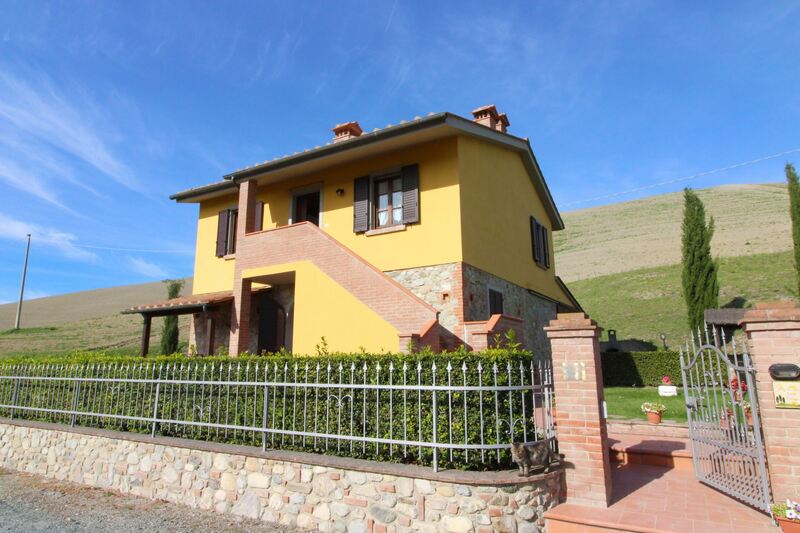 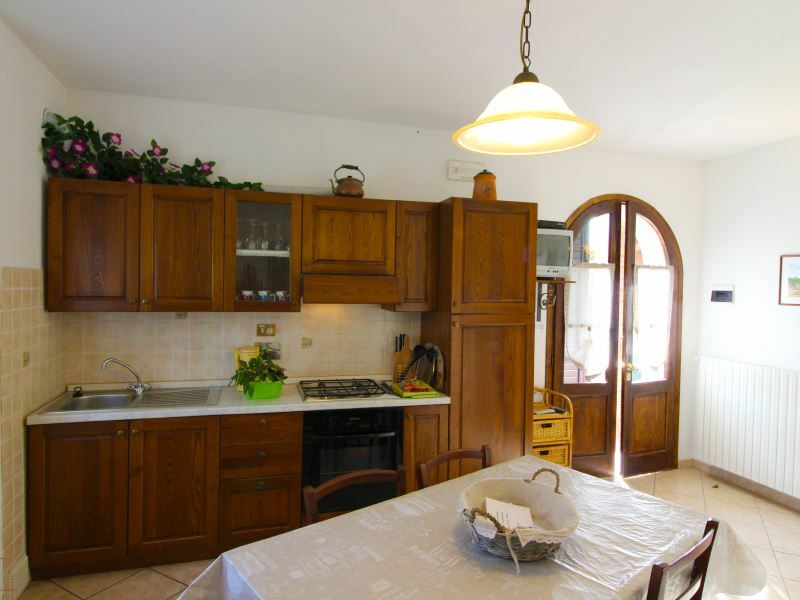 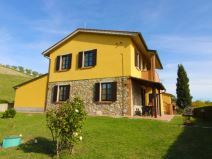 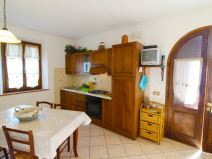 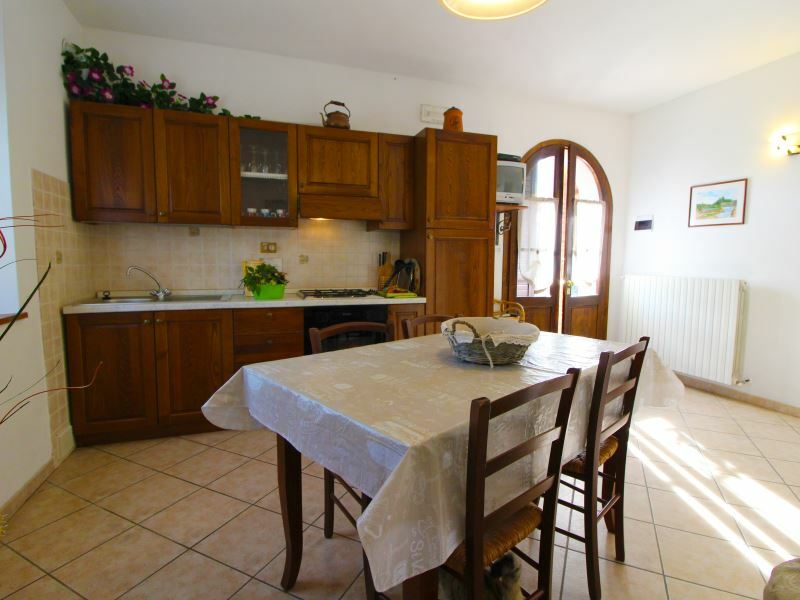 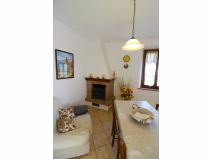 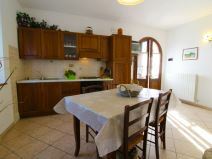 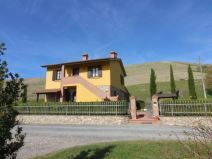 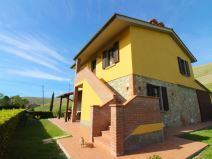 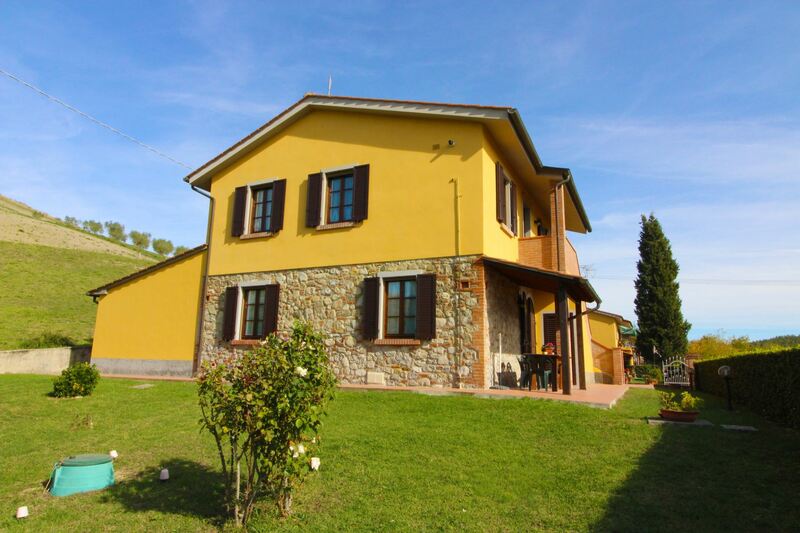 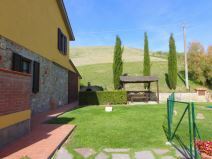 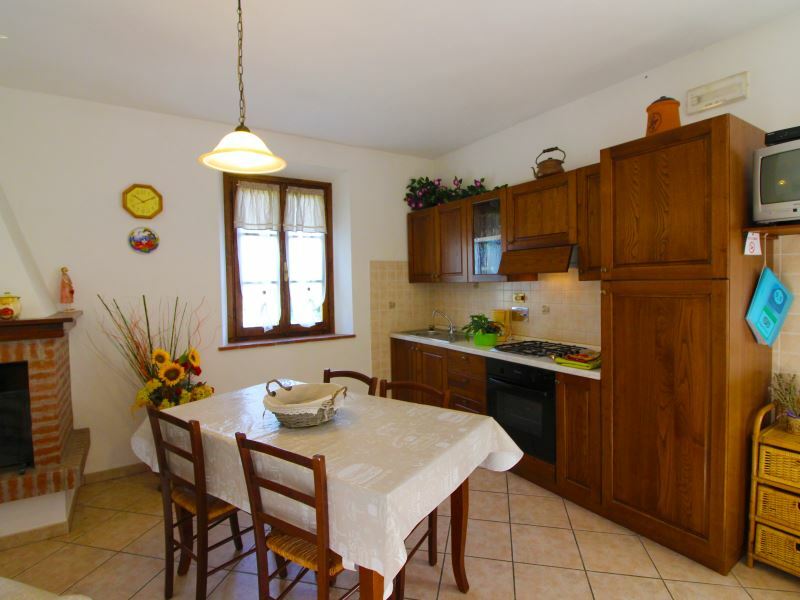 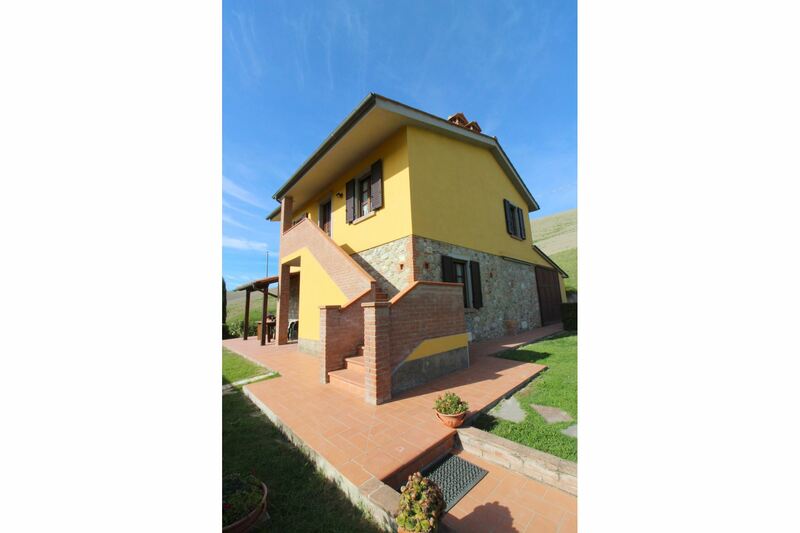 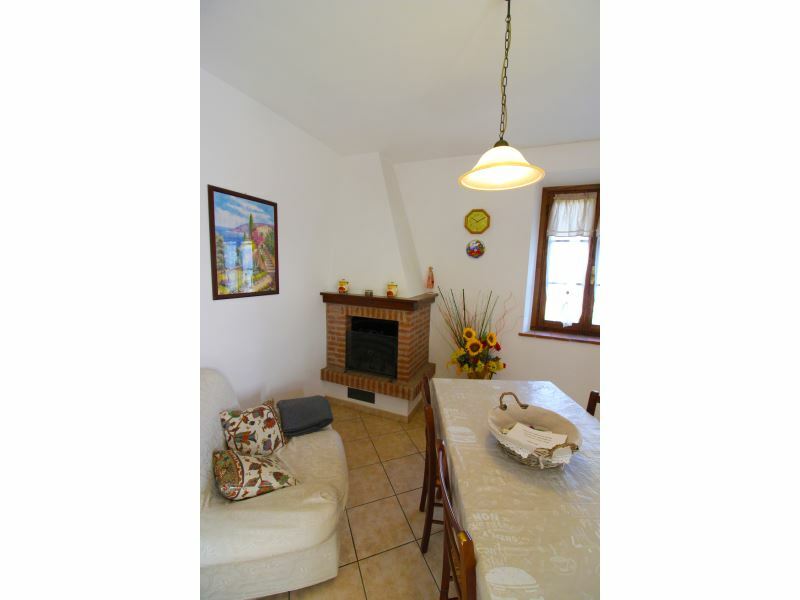 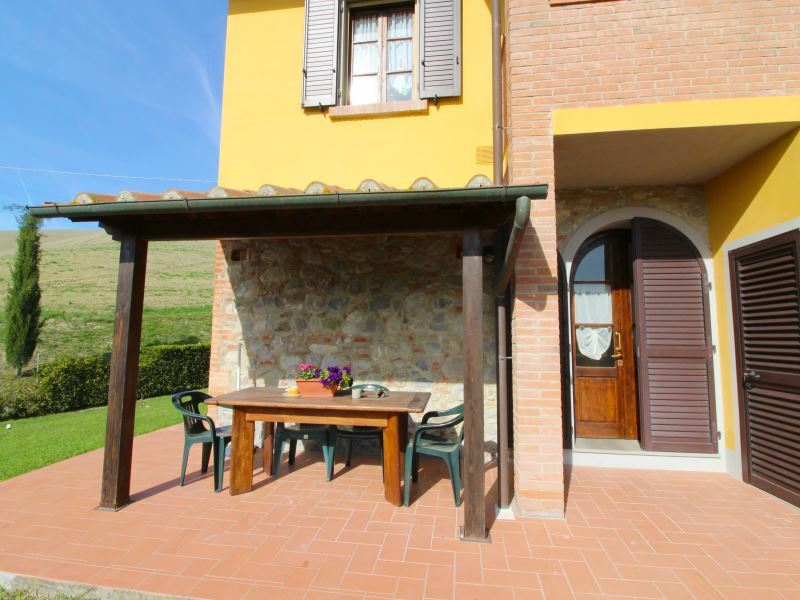 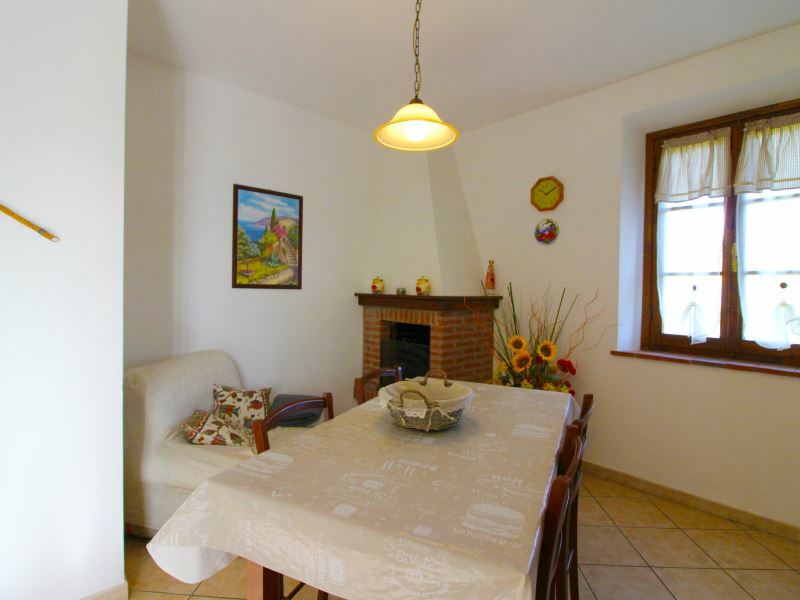 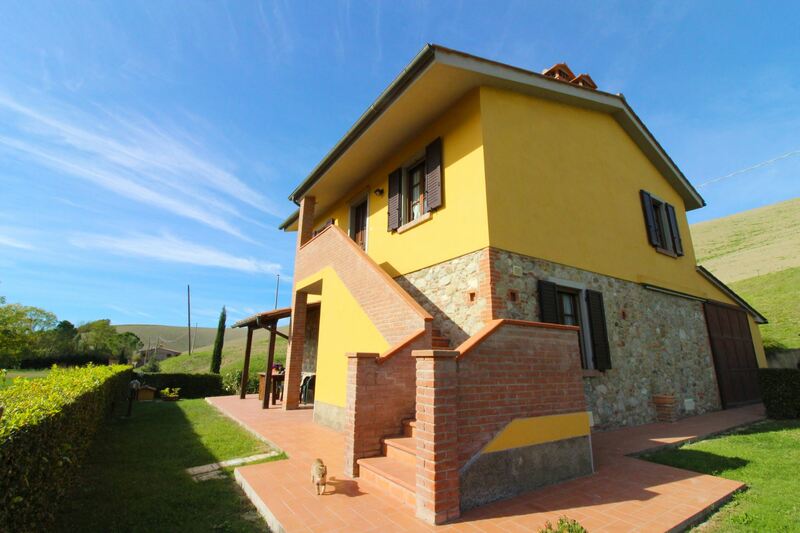 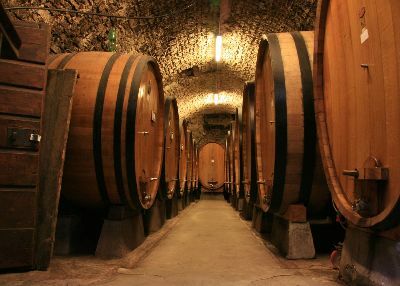 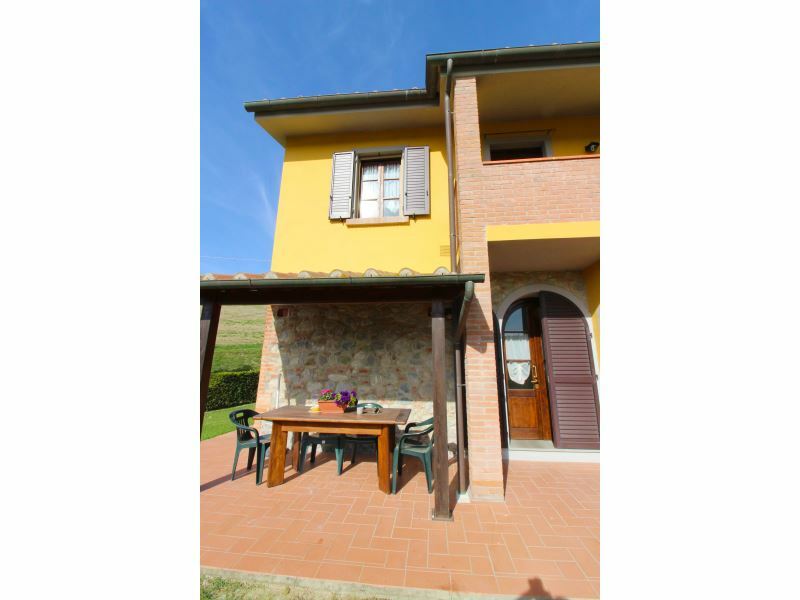 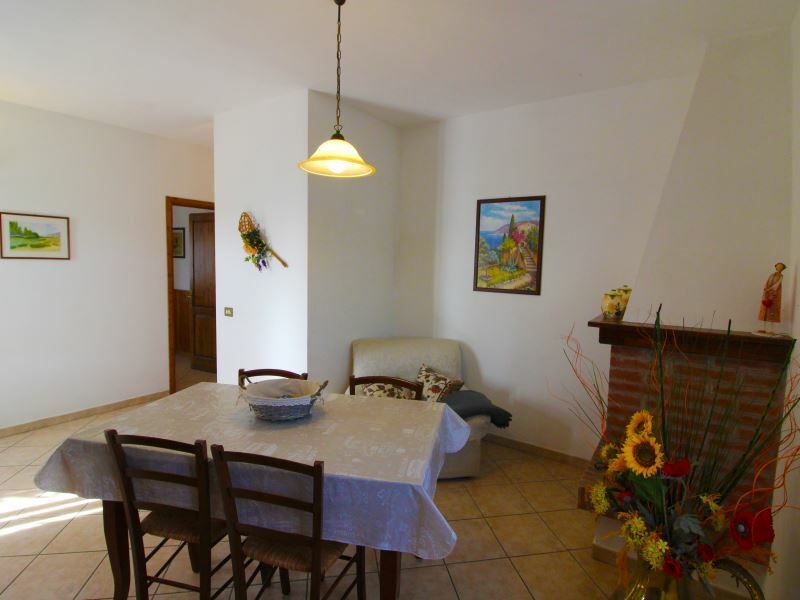 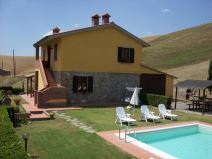 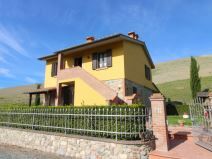 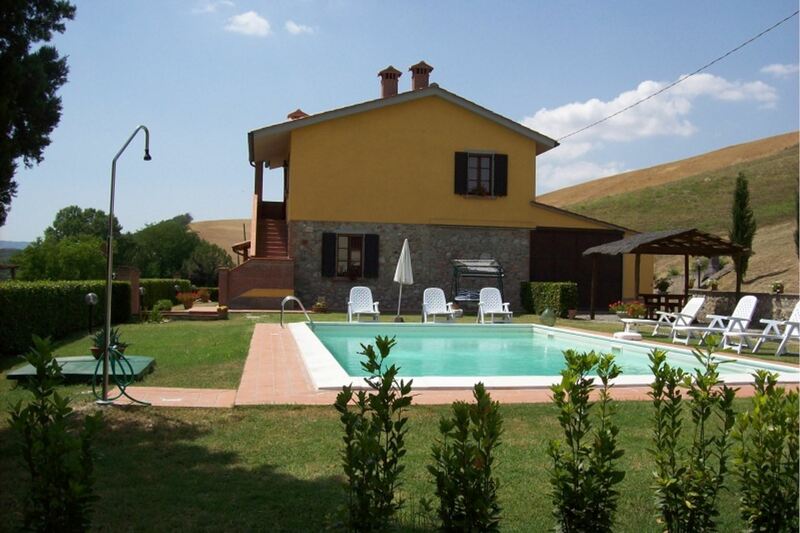 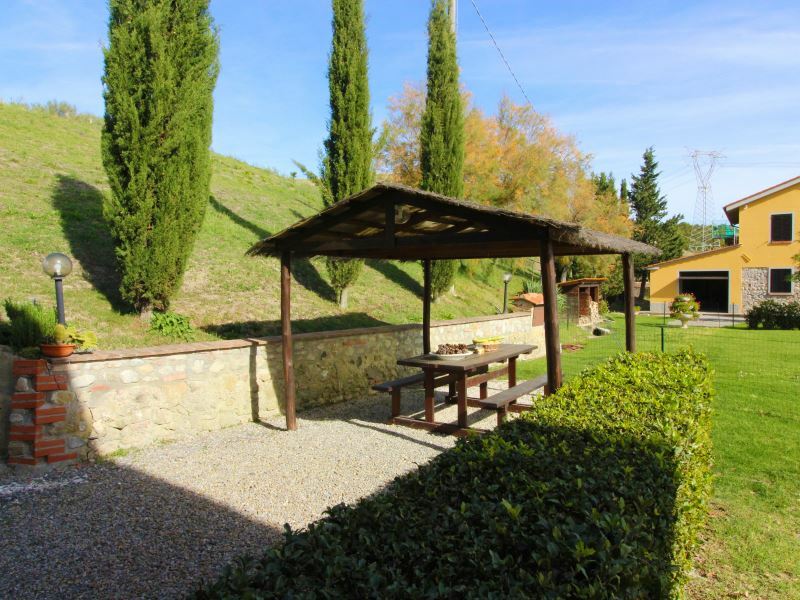 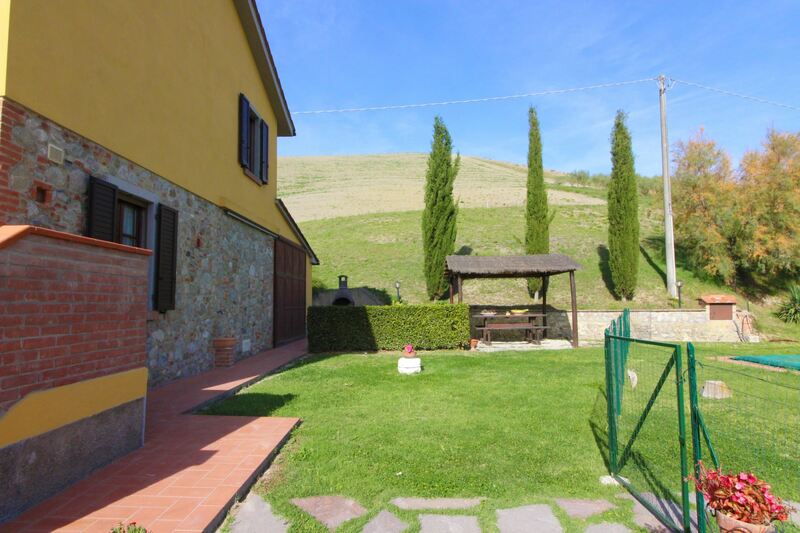 Farmhouse on a hill, divided into two apartments, on the Alta Val di Cecina. 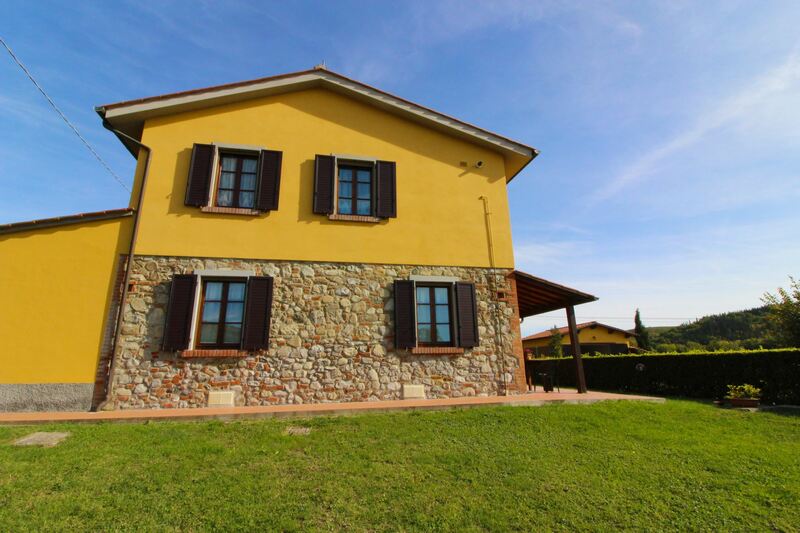 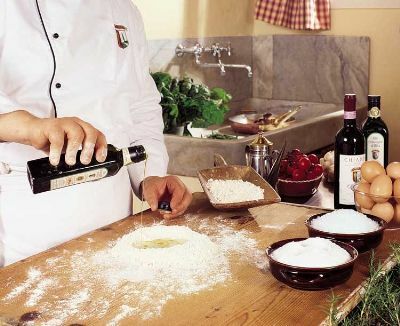 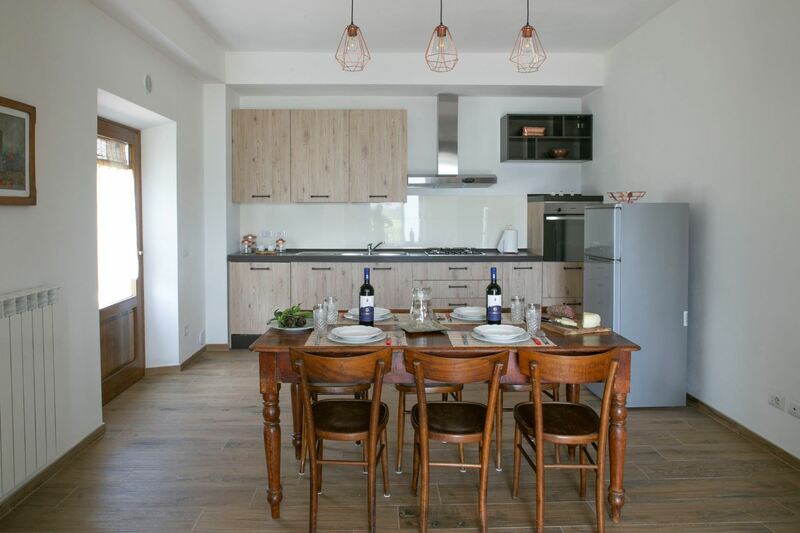 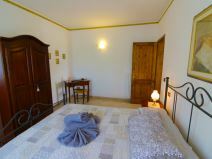 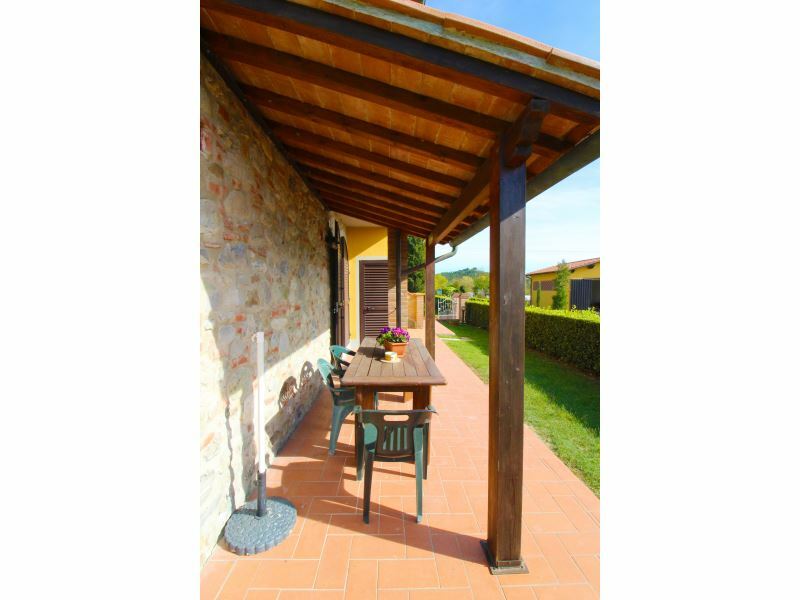 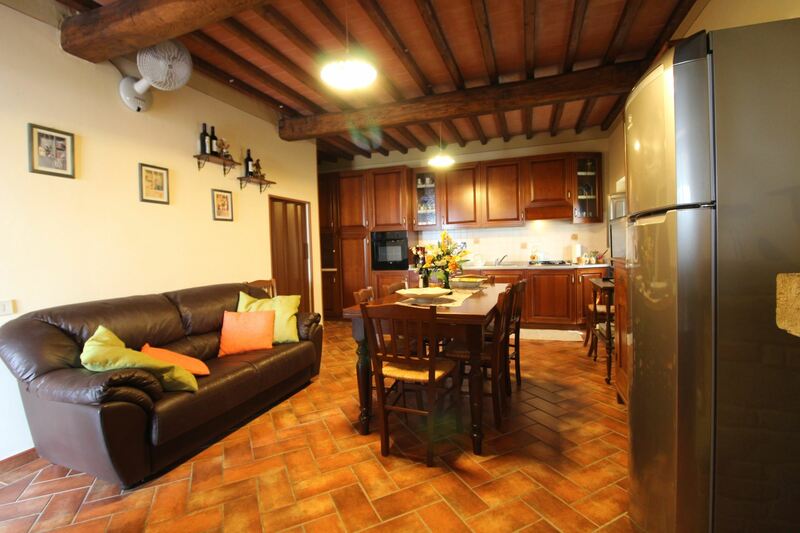 The beautiful farmhouse, carefully restored respecting Tuscan traditions, divided in two spacious and comfortable holiday apartments where guests can feel at ease in a genuine family environment. 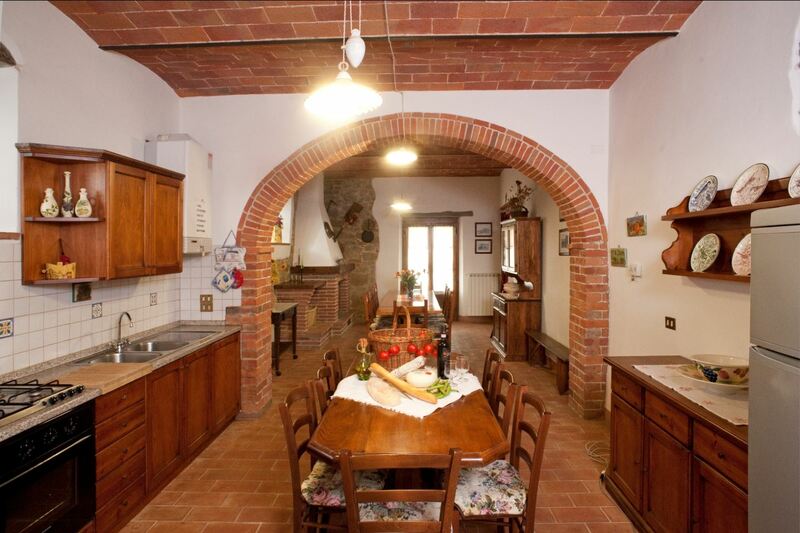 In another house a few meters far lives the owner. 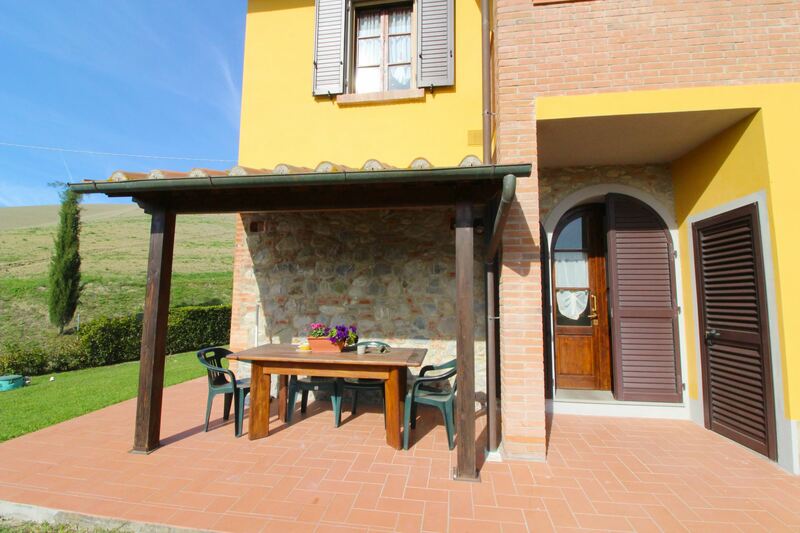 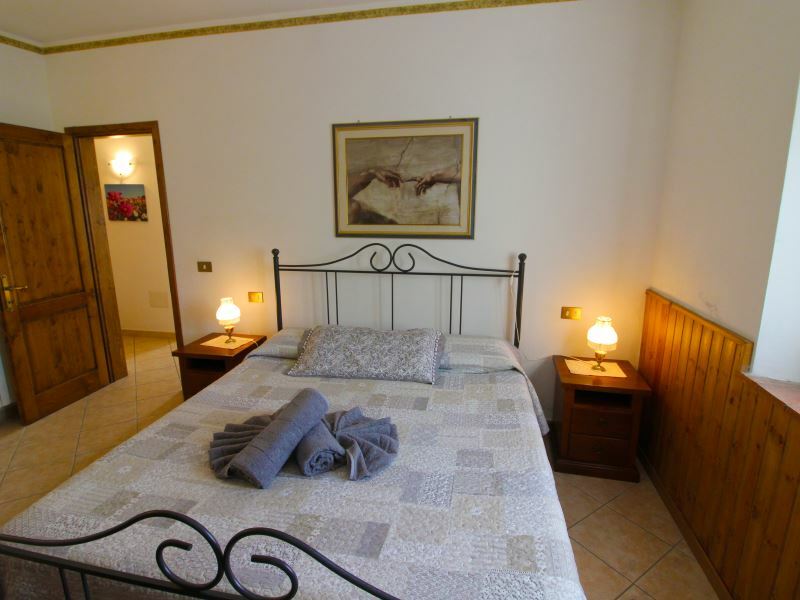 Podere Bellosguardo is located in the peace and quiet of the splendid hills of the Alta Val di Cecina, with beautiful views over infinite and changing natural landscapes. 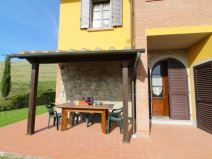 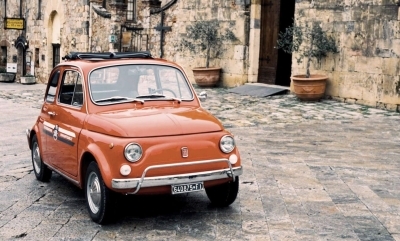 Its strategic position enables one to reach all the most famous art cities of Tuscany in a short time, like: Volterra, San Gimignano, Pisa, Siena, Florence and in less than 1 hour driving the nearby beaches of the Tyrrhenian Sea. 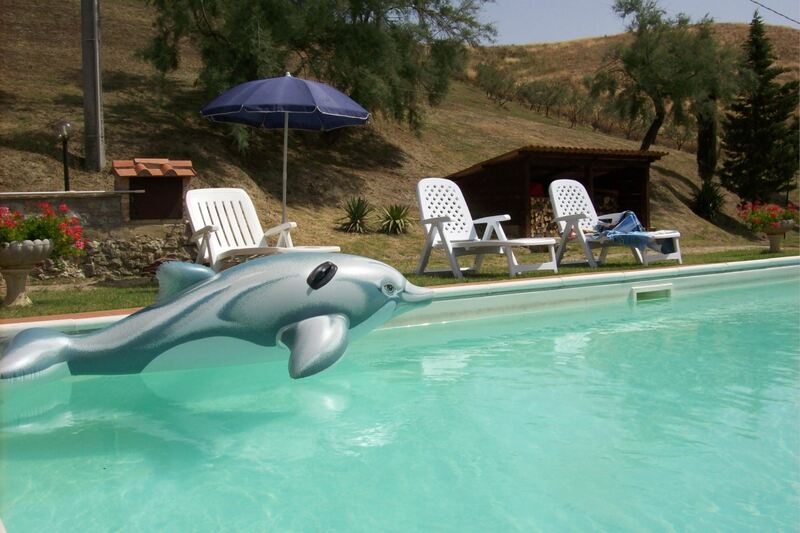 Excursions for nature lovers, green space and swimming pool. 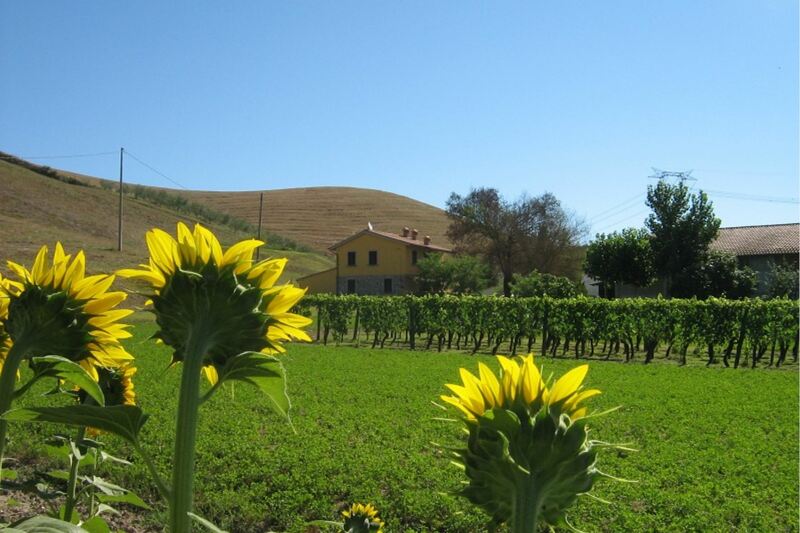 Nature lovers can plan interesting excursions on foot or by mountain bike, along 'ecological' marked paths which lead to the discovery of the infinite natural and artistic splendours of the area. 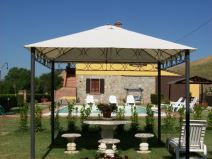 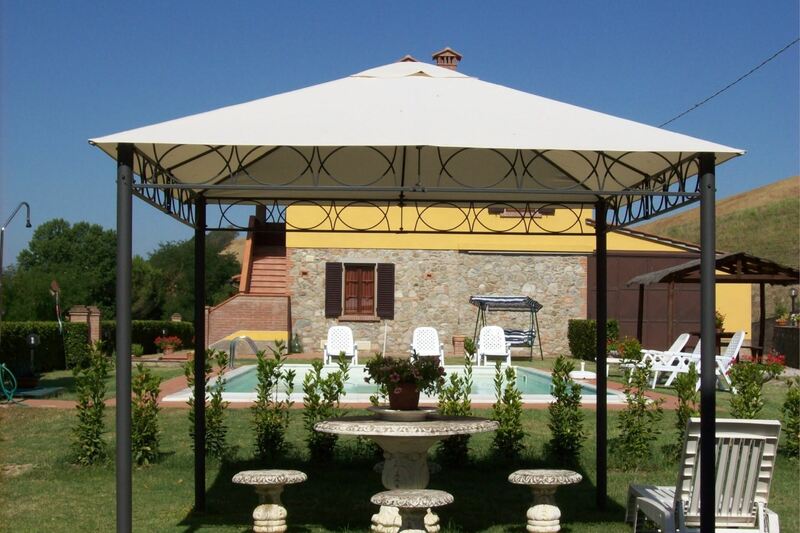 In the large garden equipped with garden furniture and barbecue, there is a beautiful completely fenced swimming pool size 10x5 m, depth 1,10-1,50m and completely fenced, situated in a sunny position. 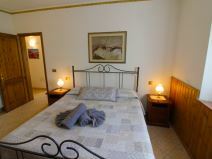 The apartments have been rationally and comfortably furnished. 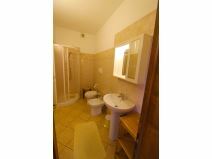 Ground floor apartment with porch equipped with table and chairs, entrance on a sitting-dining room with kitchenette and fireplace, double bedroom, twin bedroom with possibility to add an extra single bed on request and bathroom with shower. 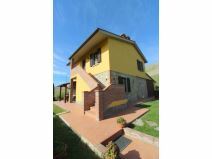 EQUIPMENT: communal washing machine, SAT TV, oven, freezer, Wi-Fi Internet access, bicycles, filter coffee maker, barbecue, moka coffee maker. 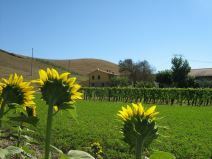 Tourist tax Euro 2 per person per day applied for the first 3 days only. 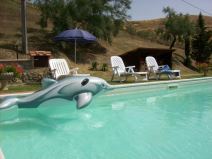 Children up to 12 years do not pay.